Emirates has been named the world’s safest airlines in 2017, according to a study which was conducted by the Jet Airliner Crash Data Evaluation Centre (JACDEC) for the air industry magazine Aero International. Etihad Airways featured high as well among the world’s safest airlines, according to the list, which will be published later. Norway’s Air Shuttle came second on the list, while Britain’s Virgin Atlantic Airways comes in the third place. 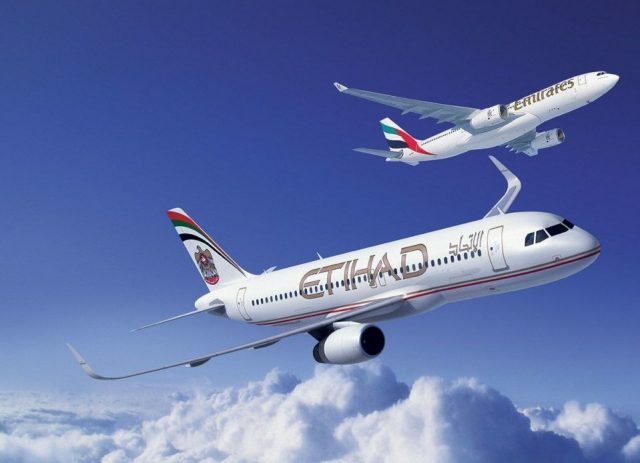 Netherland’s KLM, Britain’s easyJet, Finland’s Finnair came fourth, fifth and sixth respectively, followed by Etihad Airways, US Spirit Airlines, Australia’s Jetstars and UAE’s Air Arabia in the following positions. Germany’s Eurowings came in the 16th position, while Germany’s Lufthansa came 22nd. The study assessed the major airlines before delivering its verdict, taking into account performance, previous incidents over the past three years and the average age of their fleets.